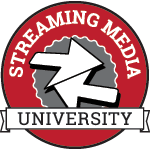 Open to ALL conference attendees and Discovery Pass holders, Discovery Track sessions are moderated by Streaming Media magazine editors, and presented by conference sponsors. These sessions offer an opportunity to learn more about cutting-edge technologies and solutions to vexing challenges at every step in the streaming media ecosystem. As an added bonus many Discovery Track sponsors will be raffling off prizes at the end of their session. From doing a full live 4K video production, including switching between multiple 4K cameras, to using a single 4K camera to produce a show with virtual camera angles - what are the practical applications for 4K live streaming today, and what options are right around the corner? Learn with industry expert David Kirk as he describes the 4K scenarios he finds most common today and where things are moving in the coming months. As a content creator or service provider, value in your application is determined by how quickly and easily the digital assets you create are delivered to your audience. A poor end-user experience causes lost viewers; while spending too much on infrastructure can quickly deplete capital. Learn how to solve these issues with object storage that combines massively scalable, searchable storage with direct HTTP access to radically simplify content storage and delivery infrastructure while reducing latency and costs. 60% of all user interactions suffer from video playback issues, yet not much is done to help solve this. Rebuffering and downgrading to subpar video bitrates continues unabated as high-speed broadband and faster cellular networks have reached near ubiquity in the United States and some international markets. So why does video still fail and rebuffer? What is the impact of video stream issues on revenue, brand, and churn? We explore these questions and more. Starting from scratch, we’ll show how to do 4K live streaming in minutes. Using technologies from Wowza and others, we'll deliver live adaptive bitrate streaming, record the video for on-demand playback, and deliver the live feed with global any-screen streaming. In the remaining time, you’ll see how to leverage 4K to create an immersive VR/360 experience. We will discuss Twitter, Facebook, and Instagram, and how content can be integrated from each of these into your live show. We'll also provide case studies of how these have been used in real world productions. Checklist for Creating OTT Experiences that WOW! With so many OTT services for consumers to choose from, providers must find ways to improve their OTT experience if they want to attract new and retain current subscribers. In this session, we’ll share a checklist of strategies for ensuring fast, reliable, secure online video experiences that wow audiences and keep them coming back for more! The confluence of data forces and sources—cloud, mobile, social, analytics—are at the center of today’s massive data growth, and it’s essential that your business can economically and securely store, manage and leverage that data. With on-premise, cloud, or hybrid solutions, IBM Cloud Object Storage offers unmatched flexibility, massive scalability, and powerful simplicity to address your diverse set of needs and content. Watermarking is becoming a crucial component for UHD distribution. However, due to the proprietary nature of different watermark algorithms integrating various watermarking technologies has not been straight forward. We present ongoing work in the UHD-Forum on best practices and standardized interfaces to allow scale. Today there’s a huge range of different devices, platforms and environments on which users want to watch videos. Therefore it’s important to use a technology and a streaming standard which fits for all devices. HTML5 is now replacing Flash. But there are problems and challenges especially when it comes to playback of DRM protected content. Stefan Lederer will present solutions that enable browsers to deliver adaptive streaming and DRM without plug-ins. Discover how ABC’s Dancing with the Stars and the Rio Olympics used 360º streaming technologies, like the Teradek Sphere, to provide their viewers with unique second screen content. Join us to learn all about real-time stitching, proper rigging, and network management for 360º productions. Live video is a key tool to engage with audiences and Facebook is poised to help you get the right people viewing your stream, interact with your content AND measure results. But there are two key things you need to stand out and be successful. This session will cover what they are and share how other Facebook Live customers are doing it right now. This session will highlight today’s OTT ecosystem and explore why publishers need a holistic view of consumers’ Quality of Experience (QoE) in today’s open and unpredictable internet environment; discuss why consolidation is becoming necessary for many businesses to remain competitive in the evolving content delivery ecosystem, highlighting the growing trend of quadplay providers; and examine how companies are using data to adapt to the changing entertainment landscape. Using operational streaming analytics to monitor and support streaming media deployments is as important as—and in many cases more mission critical than—just deploying an in-player streaming analytics solution. In-player and last mile solutions focus on issues as they affect the customers, which is often too late and does little to improve customer retention and minimise churn. Operational streaming analytics alert content distributors and live streaming solution providers to delivery problems as they happen and provide immediate solution responses, before they become end user issues. Attendees to this session will learn about the exciting and unique new process of deploying OTT applications as well as managing and updating content to the Apple, Amazon, and Roku platforms. We will also discuss how brands/content owners are maximizing and commercializing OTT in the emerging direct-to-consumer medium. Check back soon for details regarding this Discovery Track session. In this session you will learn how easy it can be to create and customize your offer and then build native applications for deployment on all app stores for personal devices, streaming players, smart TVs, and games platforms with Cisco’s cloud-hosted Infinite Video Platform. Private clouds built on object storage offer huge potential for more efficient, streamlined content delivery. This session will outline elements for success with this new architecture, including: applications that operate on objects vs files, web interface integration, and data management that integrates content delivery with the content production environment.